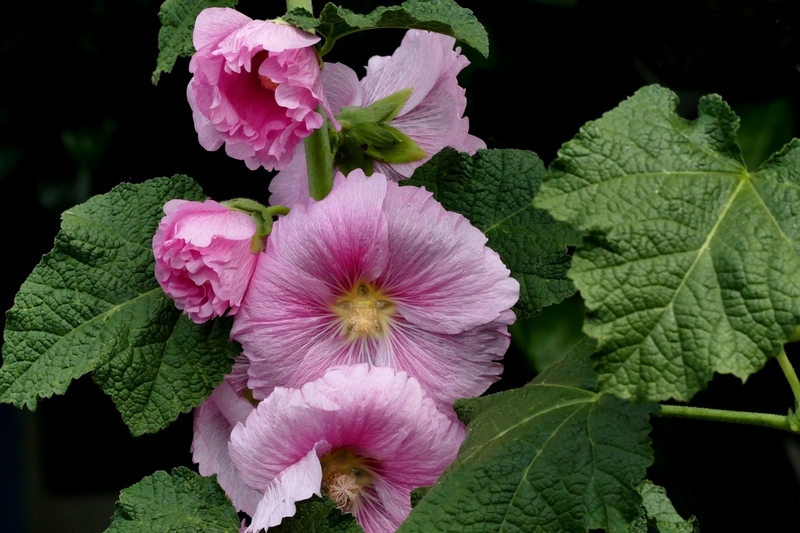 Common hollyhock (Alcea rosea): growing, planting, caring. A lovely perennial, treated as an annual, that is easy and fun to grow. 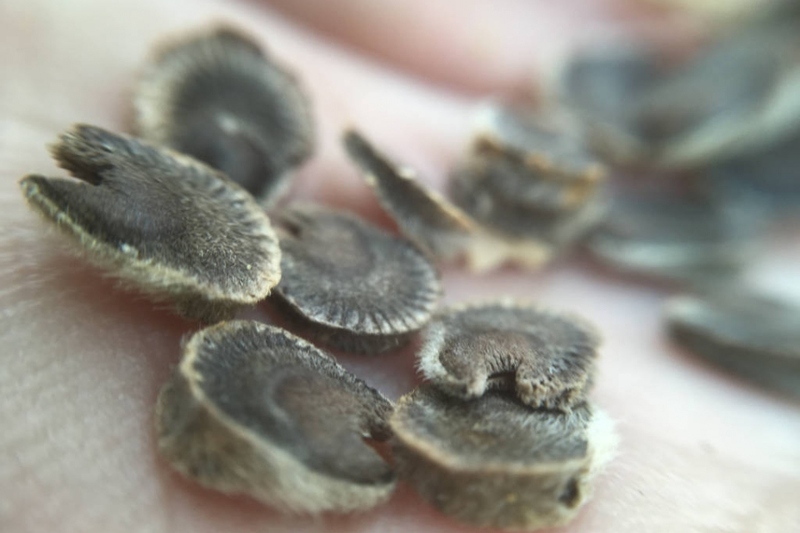 It's the type of plant you can sow, forget about, and then enjoy! Well, almost as easy as that. Its flower is quite pleasing to the eyes, with a slender shape that is guaranteed to add a certain decorative touch to any home or garden. 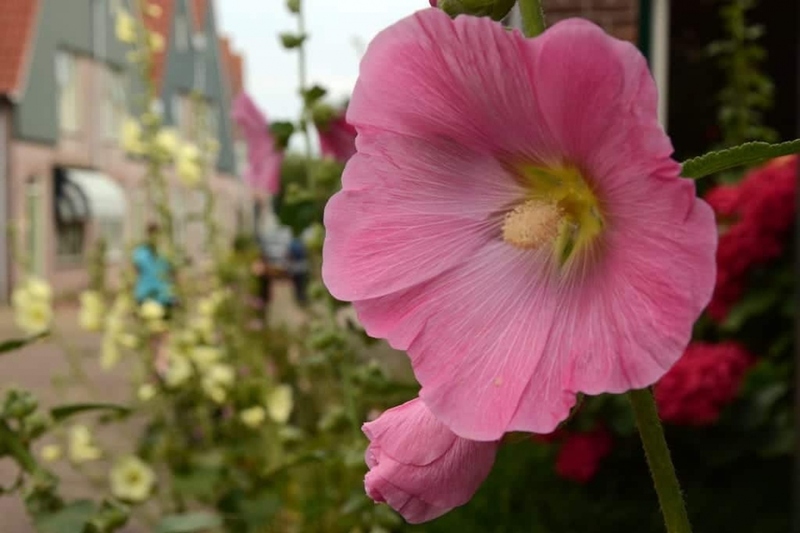 Hollyhocks, officially known as Alcea, are technically a perennial plant, though it's advised to treat them as annuals in order to prevent hollyhock rust. There are also some species of hollyhocks that are true annuals. In any case, they tend to reseed themselves quite often in unoccupied areas—such as between cracks in the pavement, for example. They are grown for their tall, slender inflorescence as well as for their shimmering colors. A perennial or biennial deciduous plant with erect stems, and flowers from the end of spring through summer, sometimes even until the beginning of autumn. The flowers have the appearance of trumpets, or huge pompoms on doubled varieties, and come in a wide range of colours — all shades of white, yellow, pink, purple, orange. From mid-March for mild climates and from April for more northern regions, choose a sunny spot for your hollyhocks. Sow the hollyhocks in a fairly rich and well-drained garden soil. (Do not be surprised, however, if the following years, it seeds itself in your alleys, between the paving stones) Water in fine mist so as not to move the seeds. 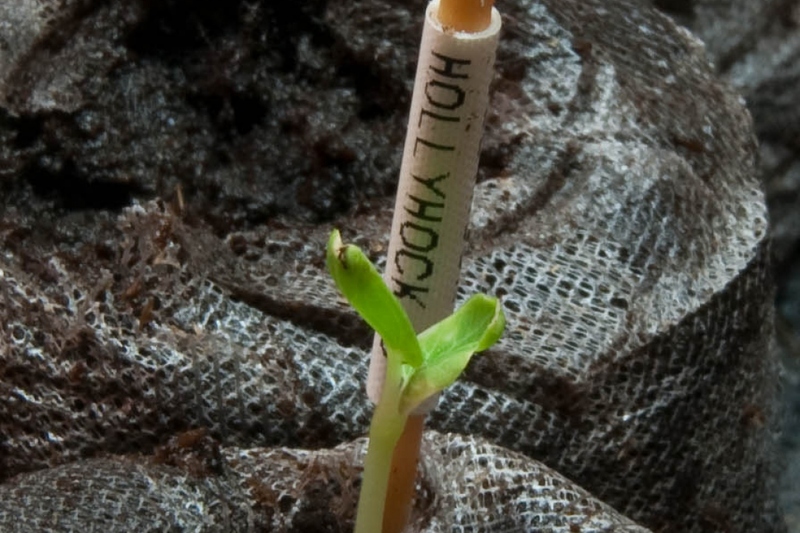 Once the seedlings have fully emerged, you can thin out your young plants to give them more space. This consists of remove plants that are too fragile or too closely situated. Keep at most a dozen plants plants per square meter — spread them out evenly! Some hollyhocks can stand frost, but to avoid the development of leaf rust, it's sometimes better to pull them up at the end of the season and count on their natural seedlings! Water the seedlings and the young plants with a fine mist to avoid uprooting them accidentally, and take care not to drown them. Once developed, hollyhocks will put up with weekly waterings (morning or night) from a hose or watering can, or even a nice big cloud!